15 Household Hacks : For Every Mom! 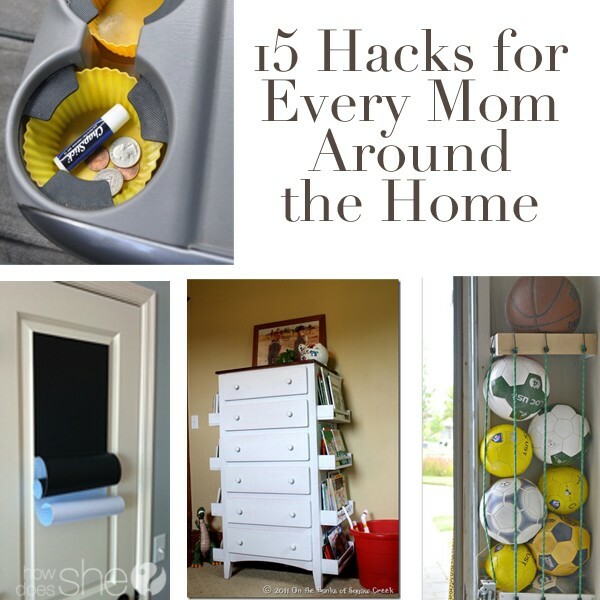 15 Hacks for Every Mom Around the Home: Household Hacks! 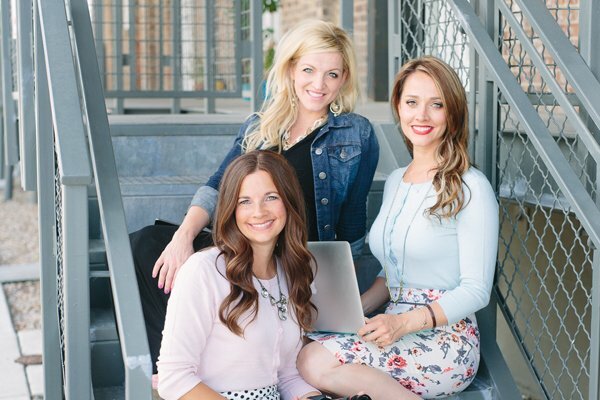 As a mom of 5 kids, I’m always glad to learn about more hacks for an easier day. How about you? Here’s some fun ones to make things go a bit smoother! Enjoy! 1. I’m glad I’m not the only one that this bothers! Use clothes pins for your toothbrushes to keep them off of dirty counters. 2. Instead of buying the expensive scarf organizers, why not make your own? 3. Don’t have tons of floor space but need some more bookshelves? Try adding shelves on the sides of your dresser. 4. Do your cup holders get full of crumbs and gunk? Make things easy by using some silicon cup cake liners as inserts. Easy clean up! 5. Make a nice outdoor hangout lounge for your baby. Get the yard work done while giving the baby a shady place to play! 6. Do the balls roll around your basement? Here’s a great ball storage solution! 7. Don’t have enough floor space for the laundry? Put the shelves and baskets on the wall! 8. Make an easy chalkboard door to keep your grocery lists or notes handy. 9. Avoid chain twists while you’re traveling. Just put your necklace through a straw! 10. Love the way this solves the problem of burning hands! Try the Sparkler Shield! 11. Don’t let your ice dilute your drink! Make your ice with Lemon Slices! 12. Repurpose your orphan socks as swiffer covers! 13. Save money by making your own laundry detergent. Thousands of our readers swear by this recipe! 14. This would help a lot in our car that seems to always be full of kids. Hang up the backpacks with suction cups. Avoid them getting stepped on and keep them handy! Love it! 15. Next time your kid wants to take the toys out of the toy room, hand them a pillowcase. Easy to pack around and most importantly easy for them to clean up when done! Love this idea! They’re pretty handy, right? I’m excited to get started on some of these time savers! « 20+ Easy Ways to Save Money and Get Back on Track plus a BONUS TIP! I like what I have seen today, and look forward to what you will send me. Also interested in free printables. Are you kidding me? Using plastic cups with sparklers? That is the stupidest and most unsafe thing I have ever heard of. Now I know where my sister in law got that idea and ended up severely burning my nieces hand when the super heated burning METAL melted the plastic directly onto snd into my nieces skin. Any parent who doesn’t use common sense and tries this should be charged with child endangerment. The few sparks that might get on the kids hand when using sparklers does very little to no damage, compared to molten plastic stuck to skin. I tried the solo cup sparkler hand protector and it melted. My three year old nephew was nearly burned. Oh, I see how the posts work, they only get approved if they are in favor of you. If it is something derogatory then you don’t let others see it, That is a little one sided isn’t it? I think it is pretty low of you to post that you are giving a certain number of hacks and when we click on them we only get about half. To get the rest we have to share, REALLY? Next thing you know, we will have to pay for them. I have seen most of them and the ones I haven’t will eventually come up with no requirements. It’s not like you came up with these yourself and have exclusive rights to them. I will be surprised if this gets approved. Stop being so rude. on here. Ginger, do not fear, I can see all of your rude comments…from the 1st to the last. All here. Shared this but the rest of this DID NOT open! Oh darn! We’re going to look into that and see if we can figure out what’s going on. Thanks for letting us know! Very interesting, I love making practical and unusual things, one of a kind. Do you use regular sized cupcake Liners???? Love this idea! Only concern, using suction cups, weighted, could put unnecessary weight/tension on the window. Might be dangerous over time. Thanks!